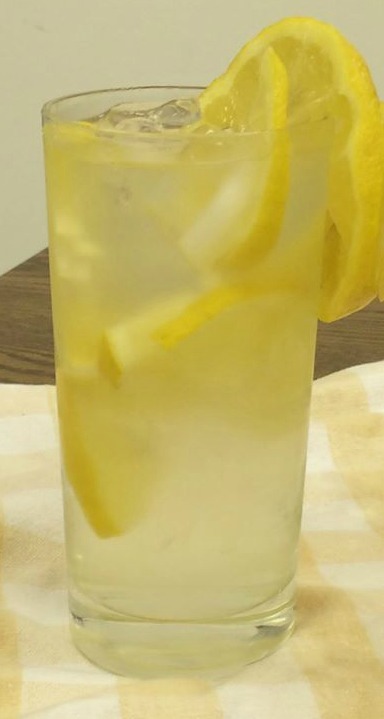 During these hot summer heat waves, let this refreshing homemade lemonade cool your days. You can prepare the lemons with sugar ahead of time and store it in the freezer. 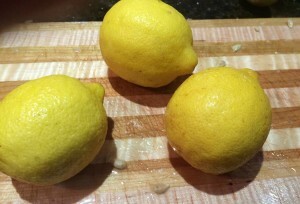 When you’re ready to make lemonade, just add water and allow it to flavor for two to three hours. Voila! You’ll wonder how you never thought of this yourself. I got this recipe from my sister, who got it from a friend. They made it for the wedding of a family member. It’s such a simple recipe for special events like graduation celebrations or weddings. You mix a few gallon concentrate at a time. If you end up not needing as much as you prepared, just keep the remainder in the freezer until the next time. We made this for a fundraiser at church this past week. Here in the south, most folks prefer Sweet Tea. But on this evening, at least half the folks chose lemonade over tea. 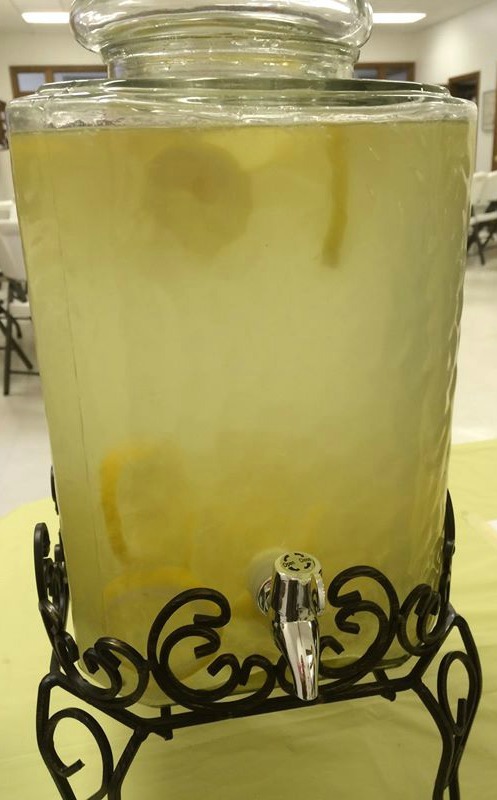 That tells me what they thought of this lemonade. We made double batches and saved on zip lock bags since we knew we’d be mixing two gallons at a time. If you decide to make the lemonade ahead of time and freeze it, just dump the contents into your pitcher, add water to the bags to rinse them and get all the sugar, and then add the liquid to your mixture in your pitcher. So have at it. Grab some lemons, start squeezing, slice and sugar it – and you’re ready to go! A simple, easy, and refreshing summer beverage. You can mix it up that day or make some a few weeks ahead for an important event. You can double or triple this recipe if you need more than one gallon. 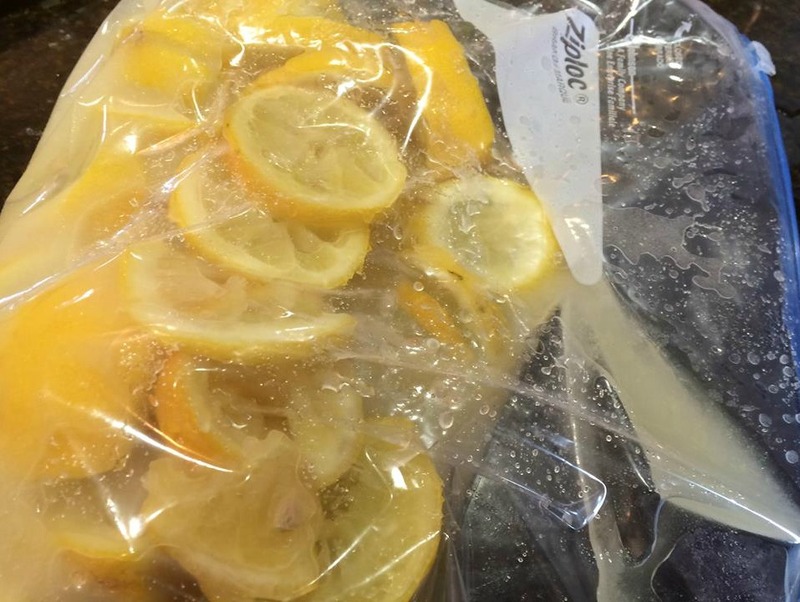 Do not leave the lemon slices in the water for more than 3-4 hours or they will get mushy.